Bibliography: Nagler, Künstler Lexikon (vol. 7, 67); Hollstein 4 (vol. 15, pp. 10–12). 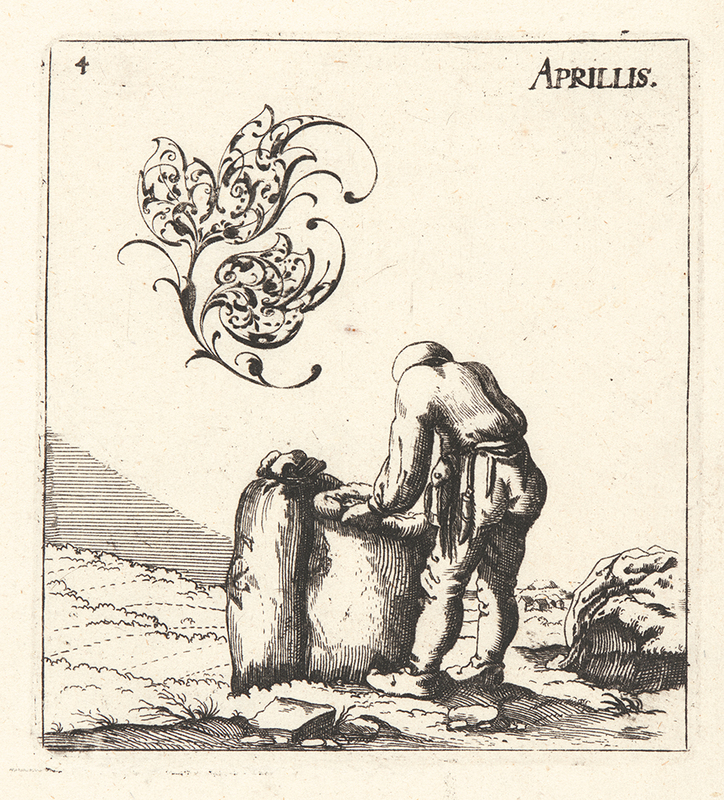 April (Aprillis), . From The Twelve Months (Die Folge der Monate). Etching. DAC accession number 1947.D1.56.4. Gift of George W. Davison (B.A. Wesleyan 1892), 1947. Open Access Image from the Davison Art Center, Wesleyan University (photo: R. Lee). http://dac-collection.wesleyan.edu/obj7171 is a persistent link to this page with no user-session information.